"The misunderstanding that persisted in the last few months is no longer there. I believe our relationship will greatly benefit from our discussions. It is high time to look at India-Nepal relations with a forward-looking approach in the interest of the two countries and their people," said KP Oli after his February 2016 visit to India, his first overseas visit after taking office earlier that month. Ahead of his visit, the Pushpa Kamal Dahal (Prachanda)-led Communist Party of Nepal (Maoist Centre) — an ally in the Federal Parliament of Nepal — had issued instructions to Oli not to compromise on "national interest". During the visit, a set of MoUs and agreements ranging from a $250-million post-earthquake reconstruction aid package to road infrastructure in the Terai area, Letters of Exchange on transit routes and the usual art and culture agreements, was signed. A little less than four months later, CPN (MC) pulled the rug out from under Oli's feet and he was ousted in a no-confidence motion. 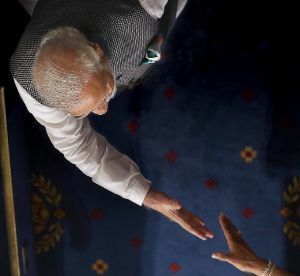 "India's role was primarily behind" the pulling out of support by the Maoists, he said soon after, adding that the process of government change was "not an automatic process but conducted by remote control". During a September 2016 visit to India, then newly-sworn-in prime minister Prachanda was quoted as saying that Oli's 'one-sidedness and ego-centric, self-centric psychology' had a role to play in the deterioration of bilateral ties. Oli's Communist Party of Nepal (Unified Marxist–Leninist) would once again join hands with the CPN (MC) for the 2017 election and the Left coalition would emerge victorious, with a massive mandate to boot. 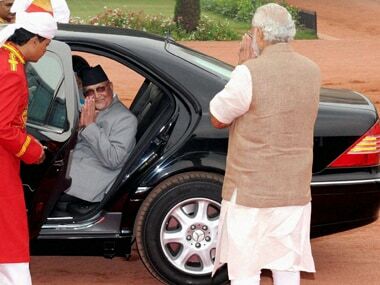 The curious cyclical — perhaps even opportunistic — nature of Nepali politics notwithstanding, Oli, who came to power on the twin planks of development and ultranationalism, is prime minister once more and set for another India visit. Ahead of his visit, he was quoted as telling lawmakers, "I will not reach any deal that would go against the national interest of Nepal." The inescapable sense of déjà vu probably stems from the fact that Prachanda made an identical pronouncement ahead of his own visit in September 2016. That ties between the South Asian countries have been frayed for a while is known, however, the extent of damage to relations is as-yet-unclear. Before his departure from Kathmandu, Oli had noted, "We want to maintain trustful (ties) with India and clear any suspicion in the bilateral relations... We want to maintain a dignified relationship with India while desisting from anything that would be disgraceful to the nation" (emphasis added). The words in italics serve as a useful preview of Oli's likely approach to India ahead of his discussions with Indian leaders. Having come to power on staunchly nationalistic rhetoric, the Nepali prime minister will need to be seen to be making the right noises, and his remark about desisting from 'disgracing' the nation can be viewed in that context. Simultaneously, there are a host of issues, like connectivity, power and the growing trade deficit that he will want to address, with a view to striking up some deals that will be in the interest of Nepal. Oli will be acutely aware that even though China is emerging as an attractive counterweight to India, Beijing's chequebook diplomacy comes with a fair few strings attached. Further strings come in the form of India drawing a line of sorts when it comes to China-funded projects. "You can't expect India to buy power from a Chinese-built project. Let Nepal take Chinese assistance to build those dams and let China buy back the power produced from there," The Indian Express quoted a government official as saying. This is probably why despite his boisterous tone and tenor in public pronouncements, Oli is likely to take a nuanced and balanced position when it comes to putting pen to paper. Nepal's complicated balance of India and China must be seen as the new normal for the bilateral relationship and New Delhi must take note of the fact that if Kathmandu sees Beijing offering a better deal, it's likely to take that one. And even though historically, India has been reasonable in the terms attached to its lines of credit and aid, the Nepal Constitution issue and the "economic embargo" that followed has vitiated the atmosphere. The impact of this is being felt beyond just bilateral ties with Nepal now seemingly on the opposite side of the debate vis-à-vis Pakistan. After four South Asian Association for Regional Cooperation (SAARC) countries stood by India's call to boycott the 2016 edition of the summit scheduled to be held in Pakistan, it was Nepal that called for a new venue to be found. While Kathmandu didn't exactly support New Delhi's boycott, it did little to show any confidence in Islamabad's abilities to host the summit. Flash-forward to March this year and it was Nepal leading the way in its efforts to bring Pakistan back into the SAARC fold, in what could loosely be viewed as a snub of India's efforts to sideline its neighbour to the northwest from the regional grouping, a SAARC ex-Pakistan, if you will. 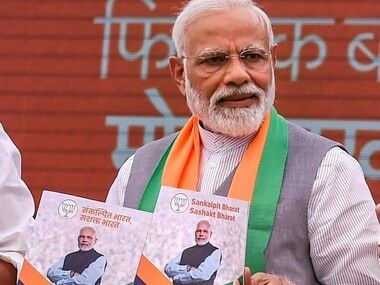 The complexion of South Asia has changed since Prime Minister Narendra Modi's swearing-in ceremony nearly four years ago when he tore the rulebook apart and invited the leaders of all SAARC nations to the event. 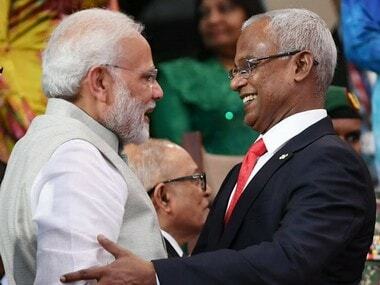 In the intervening years, India's relations with the Maldives have deteriorated drastically, ties with Sri Lanka frequently experience ups and downs — not least due to the Chinese influence, all-weather friend Bhutan put the roadblocks on India's proposed Bhutan-Bangladesh-India-Nepal Motor Vehicles Agreement (MVA), and the less said about India-Pakistan relations — that has recently descended into a variety of actors (not exclusively thespians, mind you) taking potshots at the other country on fairly random issues — the better. The only real shining lights of India's SAARC policy are Afghanistan, where India's assistance in the rebuilding process is noted and acknowledged by Kabul, and Bangladesh, with which relations are exceptionally warm. For a variety of reasons, New Delhi is losing its foothold in South Asia — where, rightly or wrongly, it considered itself the big brother. With China stepping in with lucrative deals and promises of all sorts, this foothold is growing weaker. In order to arrest this decline in relations with its neighbours, Nepal presents a good starting point for Modi. He must realise that the Nepal with which he is dealing is not the same kingdom that showered him with warmth when he visited. The mood has changed and it will require a major charm offensive to bring Nepal, and in time, the region back on board. For now, it's safe to say that the 2018 ultranationalist avatar of Oli isn't going to make it easier for him.